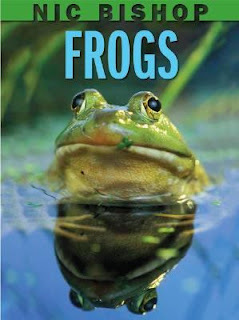 Nic Bishop Frogs -- Fantastic, amazing photographs! And very nice text as well. Not too heavy, not too light. Its books like these that make me go to the Juvenile non-fiction section more often than the regular ol' stuff. I mean seriously. When there are such fascinating, understandable texts on the ground floor, why would I go upstairs and try to wade through something dull? Love it. 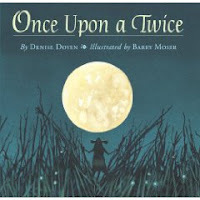 Once Upon a Twice -- by Denise Doyen, illustrated by Barry Moser. Found this one over at the PlanetEsme blog, and she likened it to Jabberwocky. I LOVE Jabberwocky! The version illustrated by Graeme Base. Aaaanyway. This one is not exactly like Jabberwocky, I mean, Carroll made up SO many new words with that one. Practically every other word at the beginning is nonsense. Once Upon a Twice does more with wordplay than word invention. Still, I was tickled by it. And the illustrations are the perfect atmosphere. Check it out! Cool! I love Jabberwocky too! I have it memorized because my high school choir sang a rendition of it that was crazy and so fun. Anyway, did you know Nic Bishop is coming to the Center for Children's Books to speak in early October? Let's go! 'Once upon a twice' sounds like it's definitely worth a look. I love all forms of word silliness, and often a perfectly descriptive word pops out of my mouth only to find no one knows what I'm talking about. 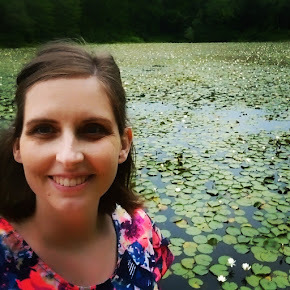 The 2015 Holiday Recommendations Post!